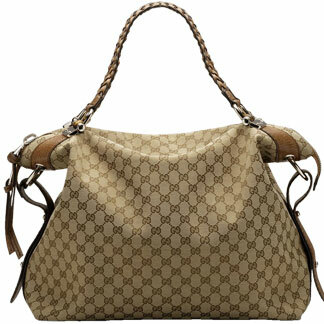 The large Bamboo bar tote is in Gucci GG beige / ebony canvas . The two handles are woven leather and the bag closes with a zip. This is already an "it" bag for summer 2010.